BELLEVILLE – Sometimes between a full day of school and sports practice, even kids can forget to slow down and be themselves. But Quinte Sports and Wellness Centre‘s youth manager, Nikki DeHaan, says the centre’s youth room is just the place for that. 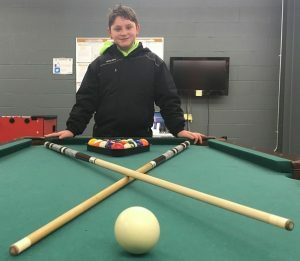 Students in Grades 6 to 12 are able to drop by after 4 p.m. and until 8 p.m. on weekdays to take part in a table game like pool or foosball, talk to volunteers or simply relax. DeHaan said there are often about 20 visitors over the course of an evening. One of those visitors is Chris Hannah, who has been coming to the youth room for almost a year. He said the it gives him something to do before and after his hockey practices downstairs. DeHaan said the youth room’s open atmosphere is appealing to its users. “We’re finding that youth don’t want to come to programs that are very highly structured,” she said. But for the guidance they do need, like on craft and movie nights, Grade 10 student volunteer Taylor Genereaux is on hand. Genereaux said volunteering is her way of giving back to the program. “I used to do all these little things and come here and play when I was little, so I decided why not do it for other people too,” she said. She added that her hope for anyone who sees her volunteering is that they’ll want to do the same one day. That opportunity is available for students in Grades 9 to 12. DeHaan said taking part in these programs at a young age is an important step in helping kids build good habits. “If we can get them involved in these organized activities or drop-in centres, it will carry on throughout their lives,” she said. At least 24 hours a week are put toward youth-related activities at the wellness centre, she added. 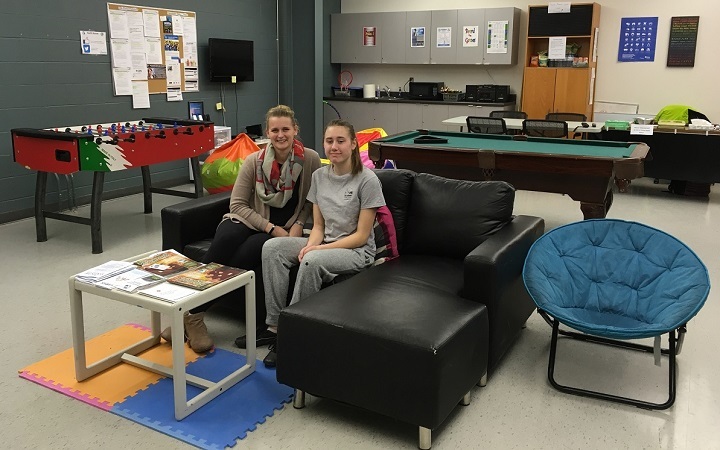 The youth room is made possible through Youth Belleville, a division of the city’s recreation, culture and community services department. Most of the room’s equipment and furniture was donated by the public, however.